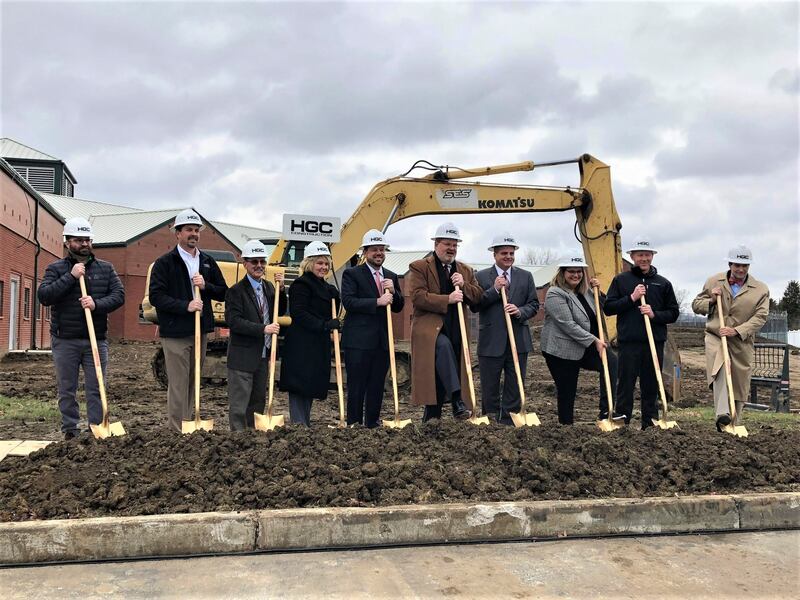 Spirits were bright on a cloudy morning as the community gathered to celebrate the Warren County Juvenile-Probate Court groundbreaking. The ceremony took place at 11:30 a.m. on Tuesday, December 4th. 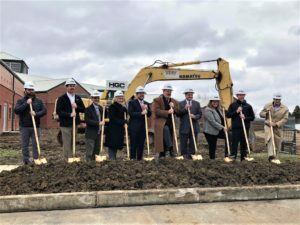 A large crowd of employees, partners, and government officials were present to hear remarks from project leaders. 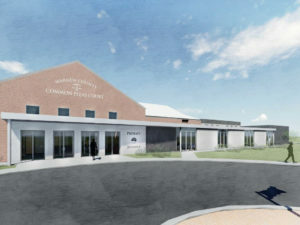 HGC Construction will collaborate with Elevar Design Group on this 10,600 SF design-build project. 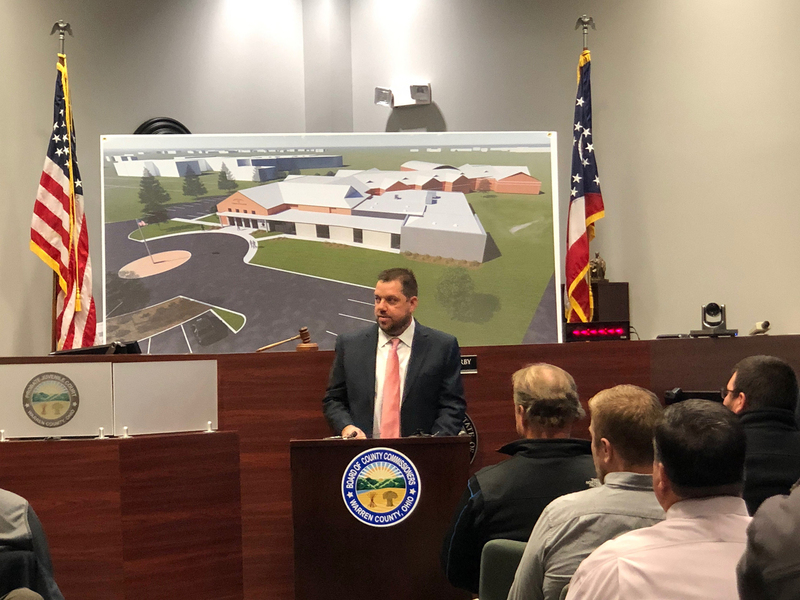 The $4.4 renovation and expansion is part of a comprehensive series of improvements planned for the buildings in the county government complex in Lebanon. See other civic projects by HGC. 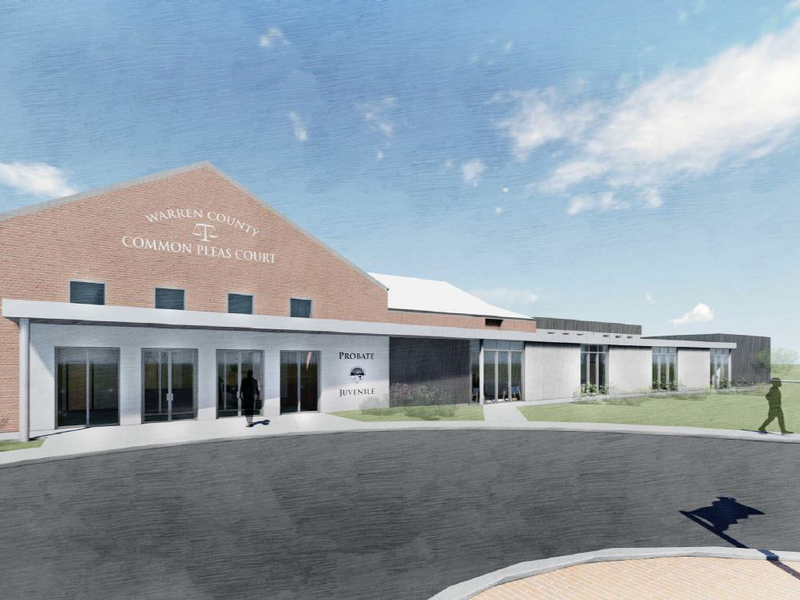 The project was awarded in June, even receiving approval from commissioners for a large-sum revision/addition to the original plans. 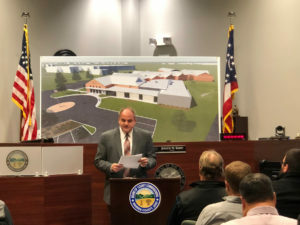 The changes were approved based on previously unidentified needs, including renovation and reconfiguration of the existing court area, a new courtroom, bullet-resistant wall protection in both courtrooms, and a storm water detention pond. Read Dayton Daily News coverage of the project. 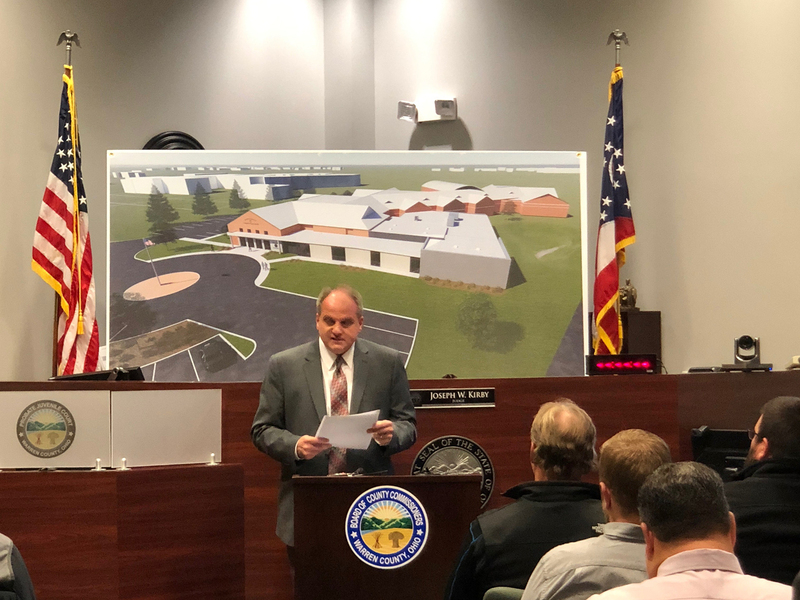 Tuesday’s event began indoors, where Court Administrator Tony Brigano extolled the benefits that this new facility would bring to the county, and expressed appreciation for the many players who made the project possible.